A batch of Natto was made an fermented for 24 hours. These pictures indicate the result at the end of the 24 hour incubation period.Plastic containers were used with lids closed and incubated in an Excalibur dehydrator for 24 hours at 100F. 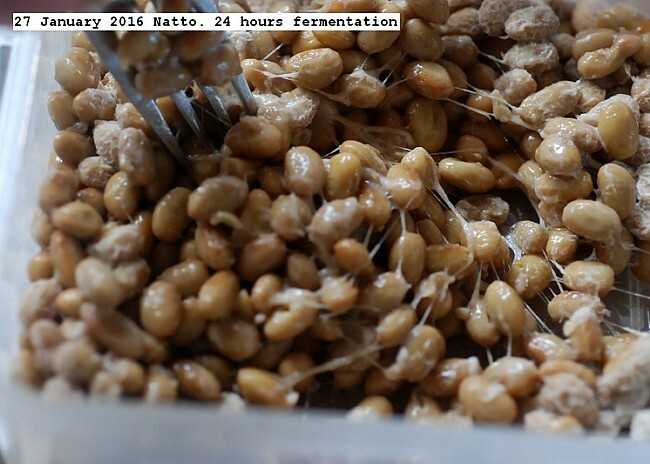 This entry was posted in Uncategorized and tagged Fermentated 24 hours., Natto. Bookmark the permalink.